As a Northwest Indiana harpist, I would love to provide elegant harp music for your event! 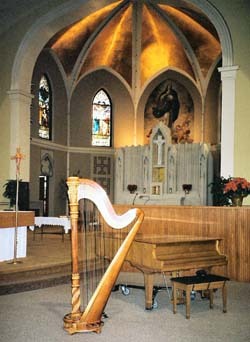 The pictures below are from a wedding ceremony I played for, as part of a harp, violin, and cello trio, at St. Mary of the Immaculate Conception Catholic Church in Michigan City, Indiana. 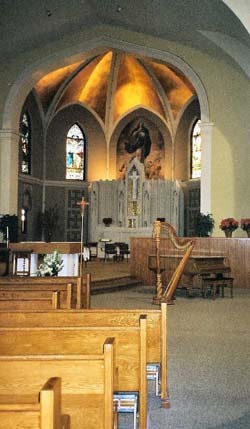 Contact me for a quote for events taking place at St. Mary of the Immaculate Conception (or anywhere in the Michigan City area), or for more information.